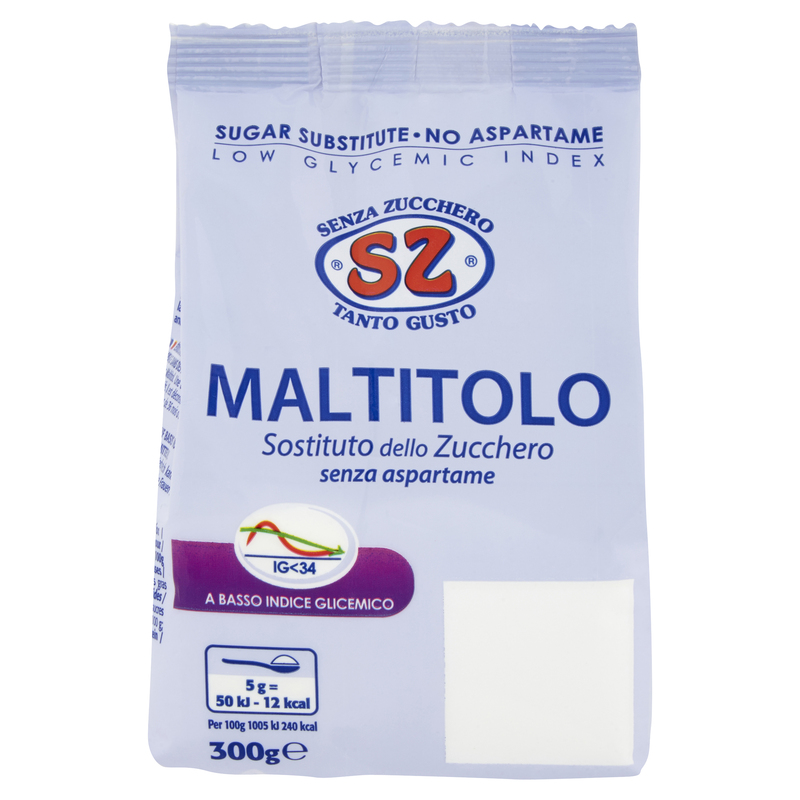 Table sweetener maltitol based – for food use. INGREDIENTS: Maltitol. Excessive consumption may have a laxative effect. Produced in Italy.